Over the past few years I have been through a few parenting milestones, one of which is weaning. Weaning both Jelly Bean and Bug was memorable and fun, with each experience being unique to them. Both were weaned earlier than the recommended age at the guidance of the health visitor. Bug took to food faster than Jelly Bean with him being an enthusiastic, full meals eater who loved to try new foods; whilst Jelly Bean was more of a slow eater who took a while to take to new tastes and textures and preferred to graze throughout the day eating little and often rather than a few large meals in one go. 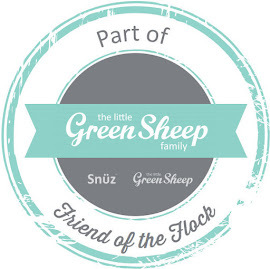 Having weaned two children and been part of the HiPP Organic Wean Team I often get asked weaning advice from friends who are about to start the weaning journey with their little ones for the first time ever. Recently my sister who is starting to think about weaning her first born asked me for a few tips on how and what she needs to wean my little nephew. Weaning can get messy so rather than worry and be anxious about the mess I say embrace it. If you are on edge and worrying about the highchair or little one getting messy then baby will pick up on your anxiousness which could have a negative effect on their eating. 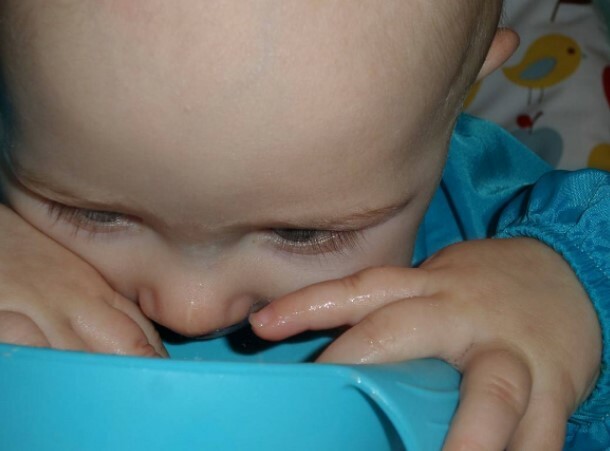 Hands on baby led weaning can be fun and the joy of your little one exploring and trying new foods and flavours negates any mess that happens…..plus there is something very cute about a big smiley food covered face that is beaming with pride. * Nuby SureGrip range - the bowls and plates are amazing as they grip highchair trays and tables amazingly well so that you don’t have to worry about little ones grabbing hold of a bowl or plate and flinging it across the room. Much like pushchairs there is a vast range of high chairs on the market and every parent with have their own views of the key features needed and what is the best. Any basic highchair that keeps baby safe and secure whilst eating will do. I’ve heard rave reviews of the basic Ikea Antilop highchair. However there are highchairs that offer additional features such as being able to fold away for storage, different height levels and reclining seat. For parents wanting to get longevity out of their highchair purchase it is worth looking at Nomi ergonomic highchairs which are suitable for little ones from 0 - 12 years. The beauty of Nomi is that they are customisable so you can design your own highchair. We love these Tommee Tippee spoons because not only do they feature soft tips for tender gums, long handles for reaching into jars and storage pots, are BPA free, suitable for babies aged 4 months + and are dishwasher, microwave and steriliser safe but they also change colour if food is too hot. This clever feature provides reassurance that food is the correct temperature for little ones to enjoy. Similar to bottle vs breast, I believe that it is not important how you choose to wean and feed your little one - traditional pureed food vs baby led weaning - just that they are fed and cared for. Both Bug and Jelly Bean started with pureed food as they started weaning before 6 months of age but once they were 6 months old we combined baby led finger foods with pureed food. 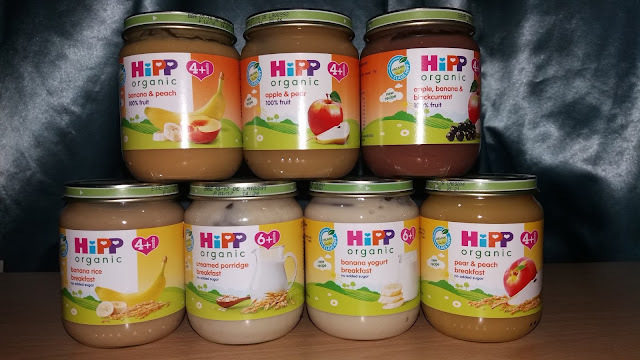 Having been part of the HiPP Organic Wean Team for parents who chose to use shop bought pureed baby food in jars I would highly recommend HiPP Organic baby food. 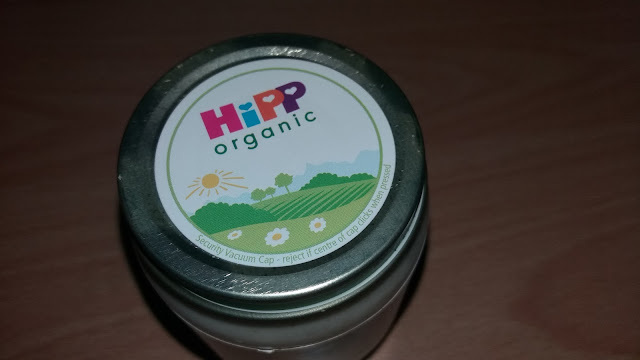 The beauty of HiPP Organic is that they are dedicated to 100% organic baby food that is tasty, wholesome and healthy. For parents who want to try their hand at making homemade baby food I would highly recommend the Annabel Karmel Weaning book. It is great for introducing and understanding weaning, looking at first tastes, exploring new tastes and textures and creating a varied diet along menu planners. 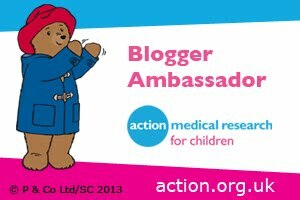 Whilst I am a true believer in following your instinct as a parent and following the baby’s cues it can always be helpful to get some advice on weaning from those who have been there and done that or who are experts on weaning and healthy diets. 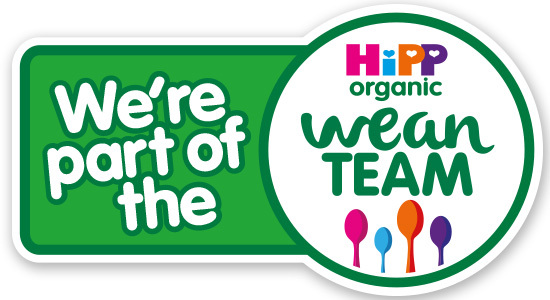 Talk to other parents, if you find them helpful go to your health visitor for help and advice or read the weaning advice of experts such as HiPP Organic’s resident expert nutritionist Helen. I cannot wait to hear stories from my sister as she weans my little nephew and see him grow and develop a love of food as he tries new tastes and textures. What are you must have weaning products?